Speaking is the most difficult type of speech. You must know a large number of words, sample sentences and cliché in order to speak fluently in Russian. Besides that, you need to train yourself to use them automatically depending on the situation. 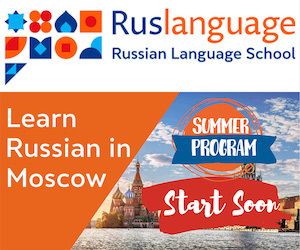 What can you do to develop your Russian speaking skills? Memorize as many Russian idioms, set phrases and cliché as possible. Practice short dialogs, use proverbs and sayings, and tell anecdotes typical of the target language. Read popular Russian stories and plays written in colloquial style. They contain the most useful words and grammar structures. Begin to re-tell Russian texts and simple stories after you have been learning the language for 1-2 months. Pay special attention to reproducing the ideas with your own words, but keep your narrative close to the text. Increase the difficulty of the texts gradually. Use any opportunity to speak Russian. Communicate with native Russian speakers or people who know the language well. Ask people to correct your mistakes. Speak to yourself daily. Get used to frequent monoloques. Describe things around you, tell what you are doing or intend to do. Writing is secondary in learning a foreign language, but still necessary. One must be able to express his/her ideas in written form in order to have thorough knowledge of the language. Writing helps to memorize new words, especially for those students who have good motor memory. 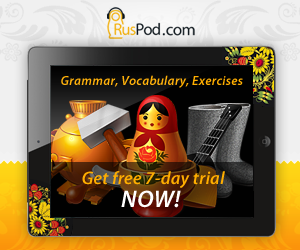 Here is how you can develop your Russian writing skills. Do writing exercises from your text-book. Make written translations from your native language to Russian. Think up and commit to paper questions about Russian texts you read. Take dictations to practice new Russian vocabulary. Reproduce Russian texts in writing. As you progress, begin to write compositions on the topics of your interest. Limit the length of your compositions to 200-300 words.